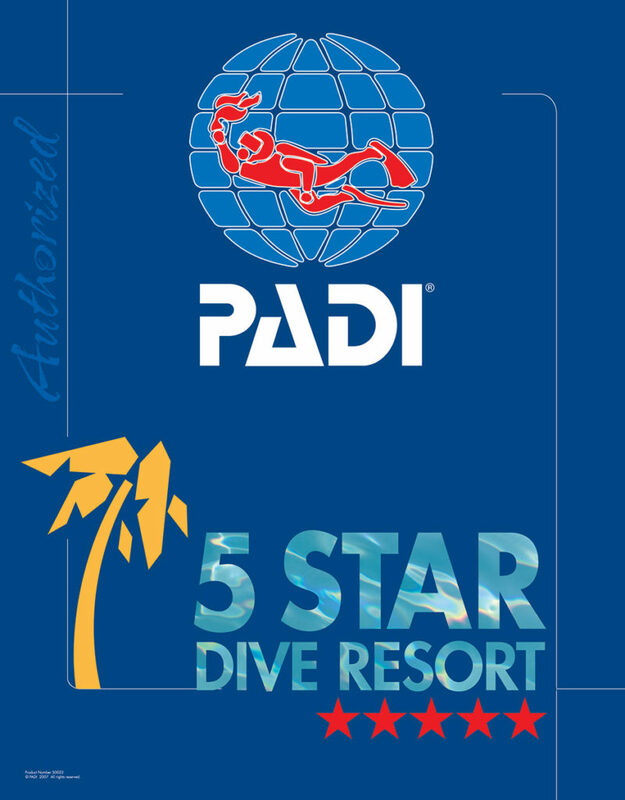 PADI Five Star Dive Resort located on Nusa Ceningan, Bali Book your Dive & Stay or PADI Learn & Stay Package Today! Ceningan Divers is an eco-friendly PADI 5 Star Dive Resort. We are a Green Fins Operator, Green Star Award, 100% AWARE Partner, the winner of the Dive Operator of the Year at the 2018 BlueGreen360 Awards, and won 3rd place at the Dive Travel Awards 2018 in the Best Dive Centres and Dive Resorts in the World category. As a renewed Aqua Lung Partner Centre; we only use top quality dive equipment that is regularly maintained by certified technicians according to the manufacturer’s requirements. Our gas cylinders are filled by certified gas technicians using an extended air filtration system in our Bauer Clean Air Facility. As part of our commitment to maintaining international standards, we provide our divers with a surface marker and whistle. Our boats are equipped with First Aid and Oxygen kits as well as a complete set of spare gear and spare parts to ensure we can address any issues while we are out exploring the amazing dive sites of Nusa Penida. At our PADI 5* Dive Resort, we have an AED, the only defibrillator on Nusa Ceningan. As a Green Fins Dive Operator, We have pledged to follow a set of standards to reduce our impact on the marine environment. Learn more about our commitment to sustainable development & ocean conservation. Our multi award-winning team of international dive instructors follow the highest safety and PADI standards. Diving the Nusa Islands in small groups, lead by passionate and attentive certified PADI professionals has never been easier with our Dive & Stay packages. Come explore world-class dive sites with us, we’ll take great care of you! Ceningan Resort is an eco-friendly, family run, PADI 5 Star Dive Resort located off the beaten path, approximately 500 meters on the left side of the Yellow Bridge on Nusa Ceningan, Bali. Come enjoy our unique Lembongan Dive Resort and our all inclusive Dive & Stay or PADI Learn & Stay packages. Ceningan Resort has 8 traditional Balinese thatched roof bungalows. Each bungalow is equipped with your choice of comfortable king size bed or 2 twin beds, AC, private outdoor hot shower, and a own balcony with hammock. The perfect place to relax after a fun day of adventures in Nusa Paradise. Are you planning on diving Lembongan? Your unforgettable experience begins with Ceningan Resort. Your safety is our number one priority. Our PADI 5 Star Dive Resort offers daily guided fun dives and PADI courses to nearby world-class dive sites around Nusa Penida, Lembongan and Nusa Ceningan. Save 10% when you book your Dive & Stay package directly from us and pay in full within 7 days of the confirmation. Save 10% when you book your PADI Learn & Stay package directly from us and pay in full within 7 days of the confirmation. My partner and I stayed at this resort for three days. Although our trip was short I am so happy we decided to stay here! The restaurant, the pool, the dock, and the atmosphere are all so relaxing and accommodating. We wanted to explore the other islands while here and they arranged a boat to take us right from the resort and it picked us up whenever we wanted. We went diving with them, and it was one of the most amazing things I have done while staying in Indonesia. They were all so helpful and nice and even gave us a ride back to get on the public boat back to Sanur. If you're looking for a relaxing get a way on the islands, I definitely recommend Ceningan Resort! "Ceningan Resort is one place you will want to keep coming back to! The accommodation is well priced, comfy bed, great air con and the best outdoor bathroom, theres not really much else you need for an island retreat. The staff will always make you feel at home and I'm happy come on my own whenever I get the chance, bring my partner or drag my parents along for a trip, the resort will suit any travel situation! With some of the best dive sites in the world, come and stay at ceningan resort knowing you are in safe hands. I have completed both PADI courses here and come along for diving. There is no catch, no negatives, only I wish I could come and stay more often!" Ceningan Divers is an eco-friendly PADI 5 Star Dive Resort. We are a Green Fins Operator, Green Star Award, 100% AWARE Partner, the winner of the Dive Operator of the Year at the 2018 BlueGreen360 Awards, and won 3rd place at the Dive Travel Awards 2018 in the Best Dive Centres and Dive Resorts in the World category. Are you planning your diving Lembongan vacation?